Vampire culture is everywhere: in the bookshops, on TV, in nightclubs, and in the cinemas. With the success of the Twilight saga and True Blood, the lore of the undead is a global phenomenon. But where does the legend of the Vampire come from, and why does it have such a perennial appeal? Historian and vampire aficionado M. J. Trow goes in search of the origins of this blood craze a long way from the shopping malls, to the story of the fifteenth century Hungarian warrior prince, Vlad of Wallachia, who was famed for his brutality in war as well as his passion for excruciating torture. Vlad would later become the inspiration for Bram Stoker’s Dracula and the film Nosferatu. Trow’s fascinating search uncovers the forgotten story of Vlad and charts his legacy throughout history up to the present day. He shows that the legend and lore of vampirism has evolved over centuries and still has a powerful hold on our imaginations. From Vlad the Impaler to Edward Cullen, M.J. Trow goes in search of the allure of the vampire. 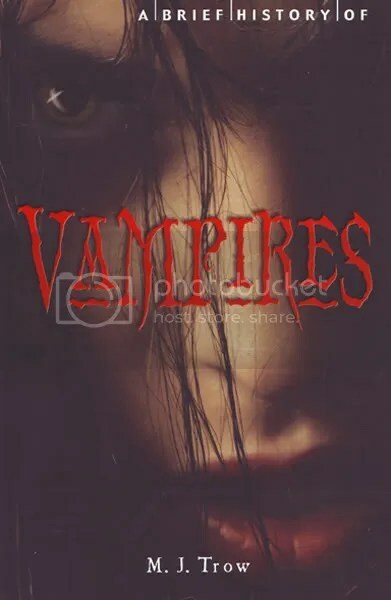 A must-have book for all vampire fans, A Brief History of Vampires charts the phenomenal craze of ‘popular vampires’ such as Nosferatu and Count Dracula to screen vampires such as those played by Bela Lugosi and Robert Pattinson. With the current global vampire craze taking the book, film and TV charts by storms with the Twilight saga and True Blood, this book begs the question: why do we love to be frightened? Within a society which has become increasingly desensitised to horror, M.J. Trow charts the vampire’s global phenomenon and seeks its terrifying origins. A long way from the billboard we learn the story of Vlad ‘The Impaler’ of Wallachia. a ruler infamous for his brutality in war as well as his passion for ‘impaling’ his victims, and who later became the inspiration for Bram Stoker’s infamous Dracula. In order to uncover the fascinating, forgotten story of ‘The Impaler’, Trow looks into the history, legend and lore of his legacy. 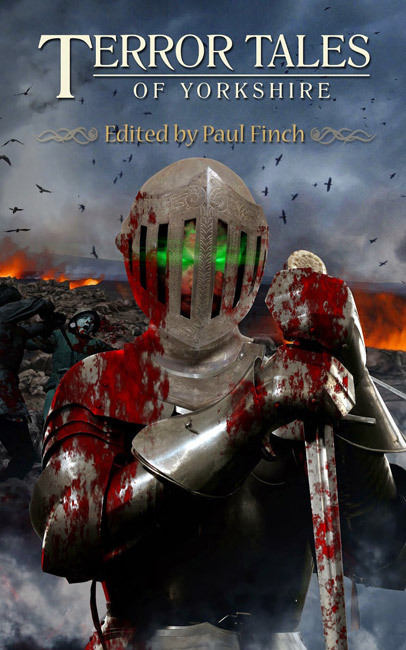 Compellingly and historically, he shows how the legend of the vampire has evolved over centuries and explains how it still has such an intense hold on modern day imagination. M. Trow studied history at university, after which he has spent years teaching. He is also an established crime writer and biographer, with a reputation as a scholar who peels away myths to reveal the true history behind them. Originally from Rhondda, South Wales, he now lives on the Isle of White. One of the giants of popular fiction, with total sales of around fifty million books, Dennis Wheatley held twentieth-century Britain spellbound. His Black Magic novels like The Devil Rides Out created an oddly seductive and luxurious vision of Satanism, but in reality he was as interested in politics as occultism. Wheatley was closely involved with the secret intelligence community, and this powerfully researched study shows just how directly this drove his work, from his unlikely warnings about the menace of Satanic Trade Unionism to his role in a British scheme to engineer a revival of Islam. Drawing on a wealth of unpublished material, Phil Baker examines Wheatley’s key friendship with a fraudster named Eric Gordon Tombe, and uncovers the full story of his sensational 1922 murder. 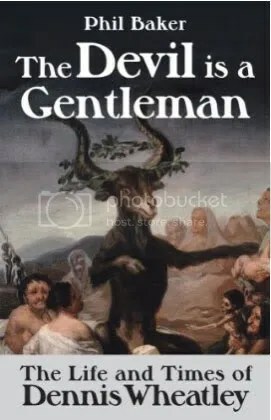 Baker also explores Wheatley’s relationships with occult figures such as Rollo Ahmed, Aleister Crowley, and the Reverend Montague Summers, the shady priest and demonologist who inspired the memorably evil character of Canon Copely-Syle, in To The Devil – A Daughter. Like Sax Rohmer and John Buchan, Wheatley has now moved from being perceived as dated to positively vintage, and this groundbreaking biography offers a major reassessment of his significance and status. Click on the cute Dedalus logo for more info …..